A number of the available pins can be used for multiple purposes other than general purpose input/output when needed. Such pins are referred to as multiplexed pins. For example, the UART pins are designated as UART, but are multiplexed so that you can designate and use them as GPIO pins when you want. This is used to incorporate the largest number of protocol support in the smallest possible package. 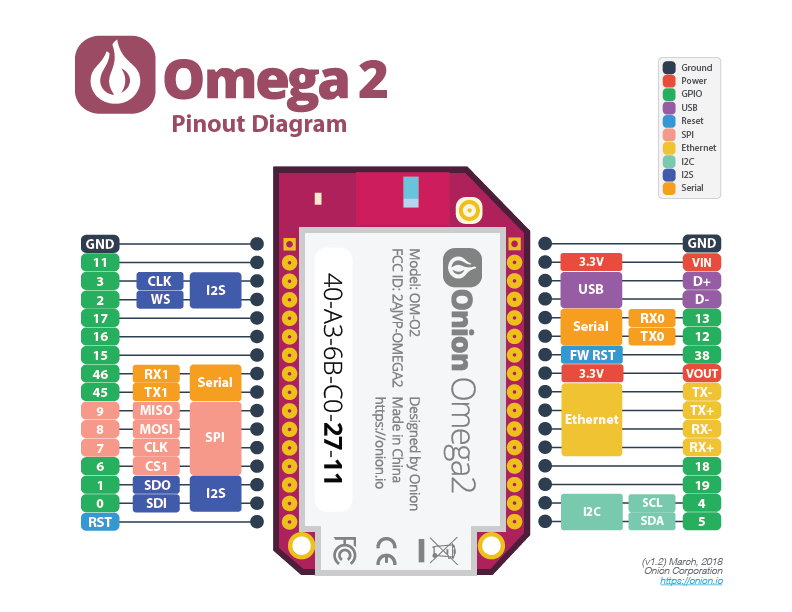 You can use the omega2-ctrl tool to change the function of your pins. The current mode for each group is indicated with the . Here we see the group is uart1, and the available modes are [uart] gpio, with the current mode being [uart]. indicating that our change has indeed been applied.